La Puente, CA — The Chargers came out of the gate this season with a nice victory against the La Puente Warriors. LPHS was a worthy opponent, especially coming off their CIF Championship appearance and state tournament run in 2017-2018. 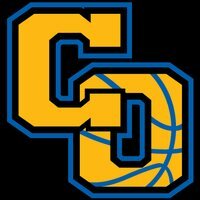 They had the swagger of a championship team at the start of the game but Charter Oak came out in their aggressive full court man to man defense and started the game with a 26 point first quarter. The Warriors kept it close at half time at 41-29, but Charter Oak’s tough defense held them to a 6 point 3rd quarter to extend the lead after three quarters to 58-35 lead. The fourth quarter was more of the same to end the game 70-46.